Here's what been scheduled for the big show this year folks ... I plan to be there Sunday - Saturday ... anyone else? And Haass's and Wentd's and Whitehouse. I plan like every year to be there all week camping in camp scholler. Plan is to bring my camper up and set up camp on July 5th. I will post my “address” once the campsite homestead is established. If someone has a spare/empty seat available, I would be willing to occupy it for the fly-out! If those that care to join all agree I can start making reservations. This year, due to other commitments, the Highleys will arrive Sunday and depart on Thursday. Looking forward to the days we will be there. If I can afford it, will try for Tuesday departure from Texas. 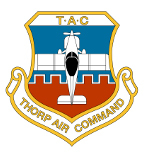 While Thorpies are tuned in to Air Venture, I thought to put in a word or two on our yearly gatherings and get a feel for what response might come about. I've come to notice that Kentucky Dam has been a gathering spot for some twenty five years or more. Some hold it as a tradition and that may be well and good, but also noticed low T-18 attendance for the past five or so years. This could be due to weather at times, while others might had stayed away due to distance such as those coming from the west. While the 2" Pork Chop had been an attraction at Patty's, maybe a closer to the mid-west or center U.S. for a juicy steak or spicy nachos could be more appealing to some for a change. Some few years back, I'd like to think was back in 2011 or 12, a spring gathering was set up around June in Fredericksburg, TX yielding some twenty five T-18 in attendance, the most I've ever seen together. The folks on the West Coast also compromised by moving their gathering to Sedona, AR which had thirteen T-18 and one wanabe in attendance April a year ago. Just thought I throw that bit in for feelers and maybe someone would come up with a good venue. I'll be at OshKosh Wednesday through Friday. The Read’s will be there all week. See ya there. .....Just thought I throw that bit in for feelers and maybe someone would come up with a good venue. I would be interested but my schedule is currently very unpredictable during the warm months making it hard for me to plan anything. June, July and August are my busiest months so I often skip gatherings just 20 miles down the road because I am either working or recharging my batteries. will arrive Sunday evening , stay till next Sunday.Looking forward to see you all . J.P. Arriving Mon MKE via SWA and Thrifty. Be at KOSH Tue Wed. Looking forward to meeting all. De plane she is coming along. I set up camp at Oshkosh yesterday. In my same spot as last several years. Corner of Lindbergh and 56th. Lindbergh is one of the main east west roads in the campground just south of the theater in the woods. I will be there Sunday through the following Monday after the show. We plan on arriving Saturday and staying through Thursday in HBC. I don’t think we’ll so the fly out since we won’t be in thorp row(? ).